Almost a Century of Great Golf in Happy Valley. 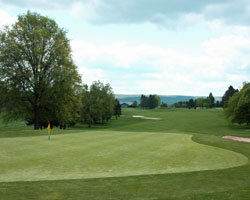 With roots dating back to 1921, golf has been enjoyed over the rolling hills of Happy Valley for nearly a century. The area became home to Pennsylvania State College in 1855 as an agricultural college to inspire farming improvements through science. Golf at Penn State predates the actual university designation and is a treat to experience when traveling through Central Pennsylvania. 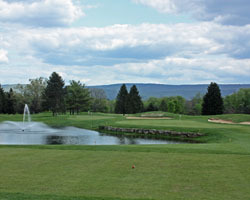 Combined with a stay at the historic Nittany Lion Inn, just steps from the back nine of the White Course, this 36 hole facility will challenge and delight. Public Play or Stay and Play Packages with the Nittany Lion Inn. 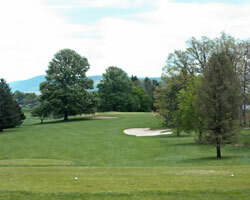 World Golf Hall of Famer Willie Park Jr. is recognized by a plaque in the middle of Hole 6, identifying his role in the design of the original layout built for the Pennsylvania College of Agriculture. Opened in 1921, as a nine hole design by a couple professors, Park was enlisted to add a further nine holes of his own in 1922. 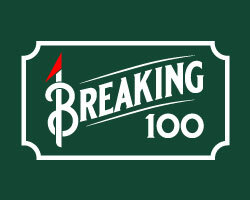 Changing some of the greens to fit his style Park is credited with the 18 holes known as the College Golf Course that served the campus admirably until the 1960's. 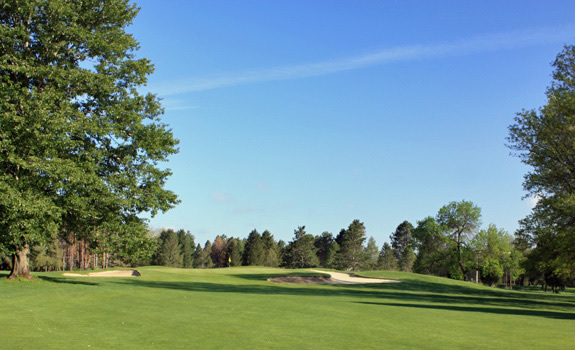 After considerable renovations and merging the course into an expanded facility with the sister Blue Course, Park's design is still evident on the stretch of holes 6 - 14. A great blend of old and new holes presents a fun, challenging parkland layout that is playable to all. Number two is a short par 4 that tests you early in the round. Perched high on the tee, you are faced with OB left, a reachable bunker right and a raised green-site guarded short by a large tree with overhanging branches and four deep surrounding the putting surface. Don't be fooled by the yardage of hole 4. The short par 4 plays steeply uphill with the fairway pinched in by a large bunker on the left side of the landing area. Short and right is dead in the deep fronting bunker. 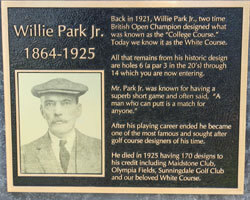 The sixth gives you the first taste of the historic Willie Park Jr. design, commemorated by a plaque in the fairway. The double dogleg par 5 plays like a rollercoaster down off the tee, back up to the blind approach area and down again to the old school green. The entire back right of the green is a severely raised plateau that will drive you crazy if landing on the wrong portion of this green. The card might make you think the par 5 18th is a push over. Playing as a dogleg right the sharp climb to the green will make this reachable to only the big hitters. A great chance to birdie awaits on the final hole of the White. Golf had always been popular at Penn State from the early beginnings, but by the late 60's the need for expanded facilities had arisen. 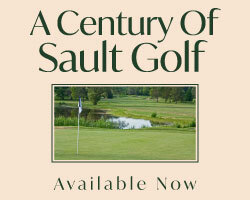 The Blue Course opened in 1970 designed to be a stern test of golf for the varsity teams and community alike. Both the White and Blue underwent a major redesign in 1992 to route both courses out of the same facility. The resulting efforts created a true championship calibre layout at Penn State. The older front nine is framed by stately hardwoods, routed over a hilltop creating stark elevation changes with many uneven lies. Designed by Tom Clark, the back nine opened in 1994 and features a collection of holes that demand precise distance control and must navigate water on five of the holes. With fewer trees, this finishing side is at the mercy of the elements when the wind blows. The inviting welcome ends at the third hole. A wicked dogleg right, this hole plays uphill off the tee to a landing area pinched by bunkers right and overhanging hardwoods. Stray off the center line and the second shot to the uphill green might require you to shape a long iron to have any chance at a par putt. The lengthy par 4 7th is a beast. The gentle dogleg right hugs the side of the hill leading to a plateau green with devilish ridges and a falloff at the back that might need a Sherpa to help you back to the top if you over club. The first true forced carry over water awaits on signature number 14. A rock wall and pond protect the front while deep bunkers collect anything long and right. The 18th, an uphill par 5, has water left and right off the tee and climbs all the way to the heavily guarded green-site, with a series of bunkers left and menacing hardwood on the right. Framed with the school flags of the Big Ten schools, The Blue Course finish will be a fitting end to your round, challenging and memorable.